Hope everyone had a great Smoke Day. We had a bunch of friends and family over, and had a really good time. I'm pretty much living the dream when presented with the opportunity to run multiple smokers. 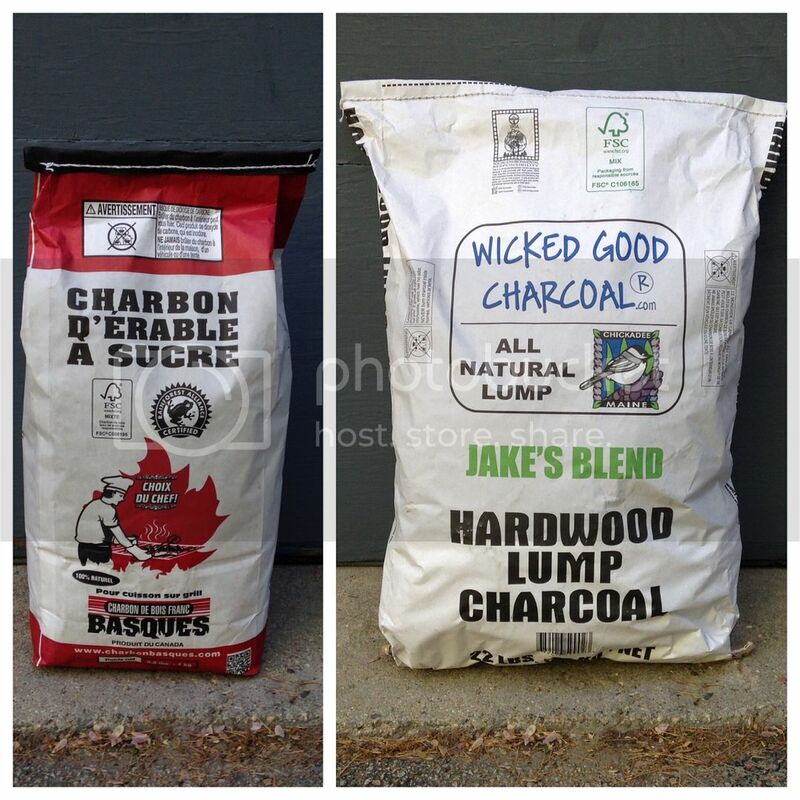 The fuels of choice for Smoke Day 11: Basques Sugar Maple lump and Wicked Good "Jake's Blend". Baby backs seasoned with some homemade Memphis-style dry rub. Cooked these on the Performer using peach wood. Right before serving, I glazed the racks with apple cider syrup and applied another light coating of dry rub. I was happy with this batch, and even happier that they were well-received by our guests. 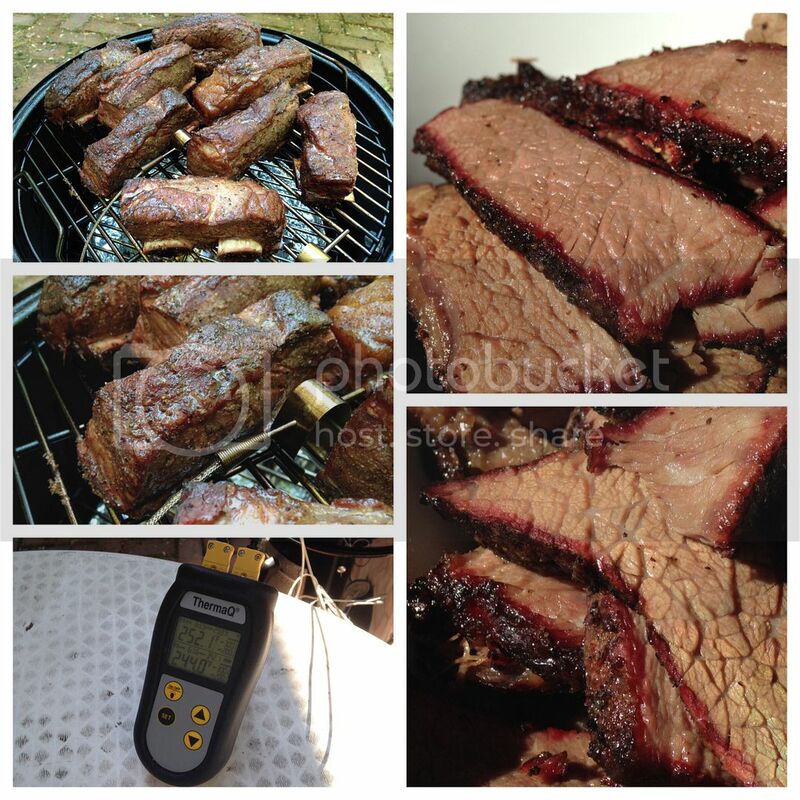 Beef short ribs smoked on the 14.5 WSM using pecan wood. These came out like miniature briskets, and made for some fine sandwiches. 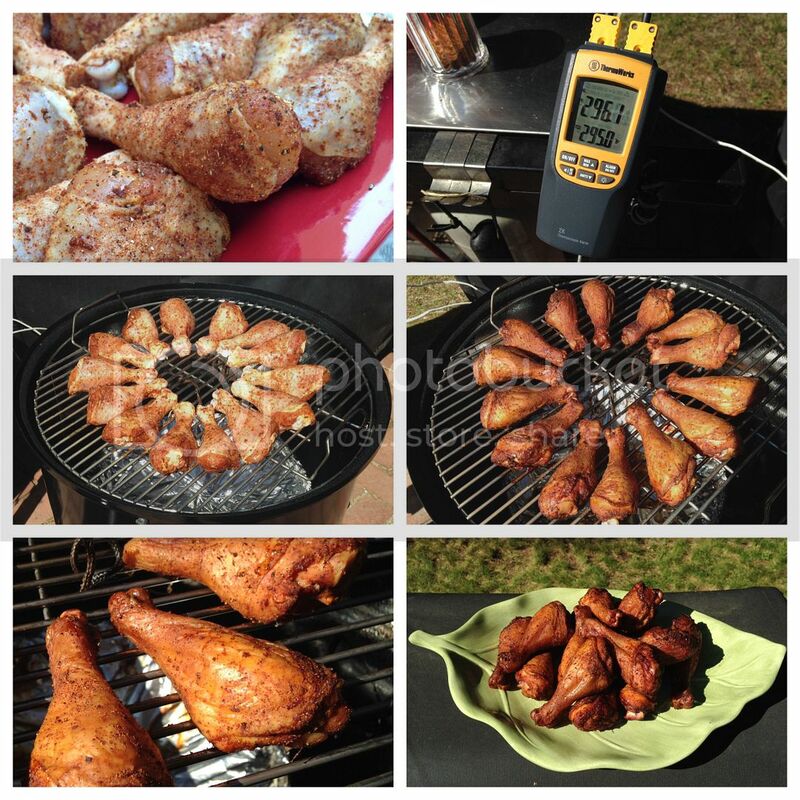 Chicken legs smoke-roasted on the 18.5 WSM, over high heat with mulberry wood. The skin came out nice and crispy on these. Wow Jerome, you had it goin' on. Awesome cooks there guy. Yep got to put this one in the "over the top good". Great cook Jerome! Jerome, that is way over the top spectacular in every way. Looks great ! Perhaps you have outdone yourself? 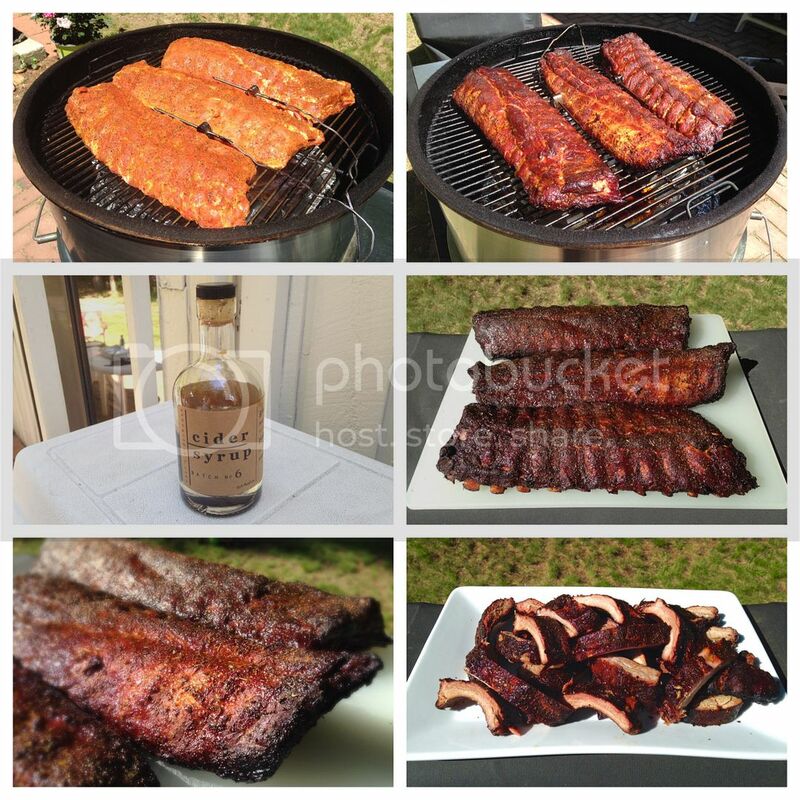 Wow...it all looks good and the baby backs look competition ready!